Here at The Cheat Sheet, we previously wrote about how the Vikings and Peterson are stuck with each other for the foreseeable future, whether they like it or not. In our eyes, nothing has changed. 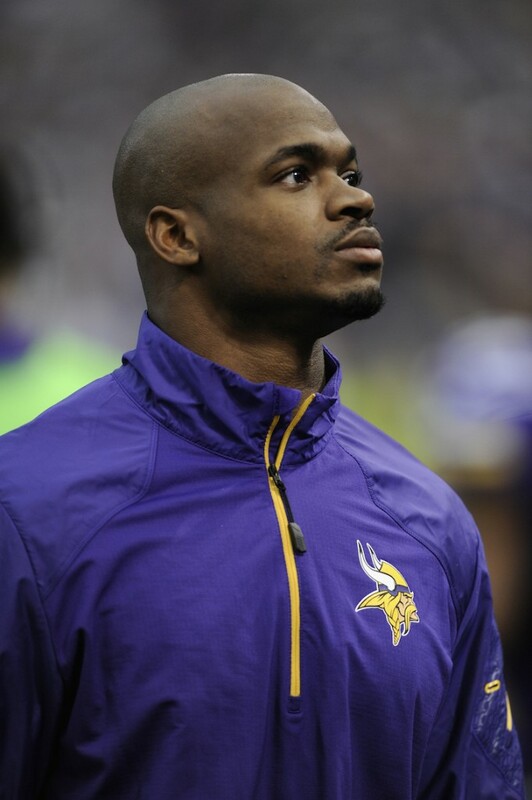 While there is still the possibility of a trade down the line – as in next offseason – we would be completely floored if Peterson does not play for the Vikings in 2015. With that being said, here is a look at the top five reasons why an Adrian Peterson trade won’t be happening anytime soon. 1. Peterson has zero leverage. The truth hurts sometimes, and the truth of this matter is that Peterson is a highly-paid, 30-year-old running back coming off of a season in which he played in only one game. He could choose to retire, but that option is nothing more than a long shot at this point. If Peterson truly wished to be traded, his best bet would be to play out the 2015 season – hopefully at a high level – and revisit the idea of a trade next offseason. 2. The Vikings would have a major hole in their offense if they traded Peterson. The Vikings believe they have a potential franchise quarterback in second-year pro Teddy Bridgewater. A lot of Bridgewater’s development will depend on Minnesota surrounding him with a solid supporting cast. 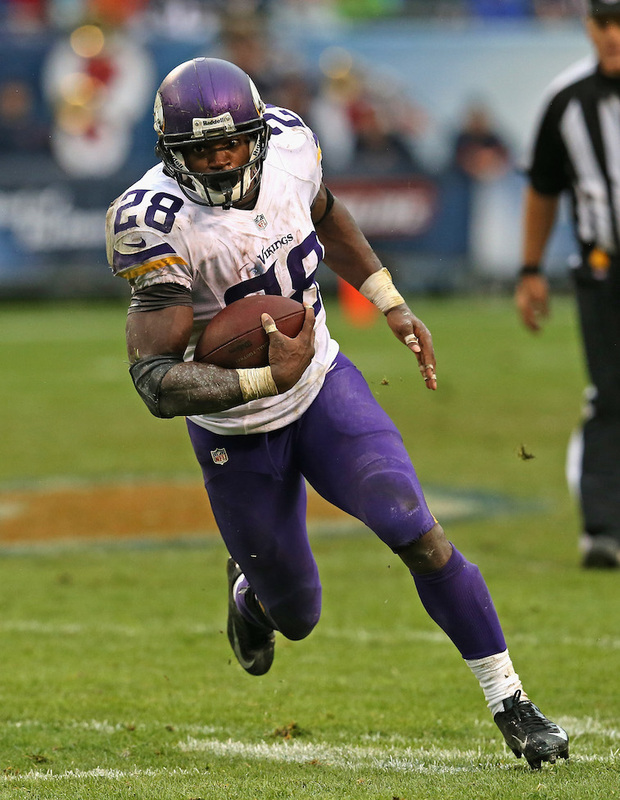 As far as running backs go, Peterson is as good as they get when he is at the top of his game. Having an above average rushing attack will only speed up Bridgewater’s development. On top of that, the Vikings would have a hard time finding an adequate replacement for Peterson this late into the offseason. The NFL Draft has come and gone, and at this point, there are only a handful of veteran free agents available, and let’s face it, those players are free agents for a reason. 3. 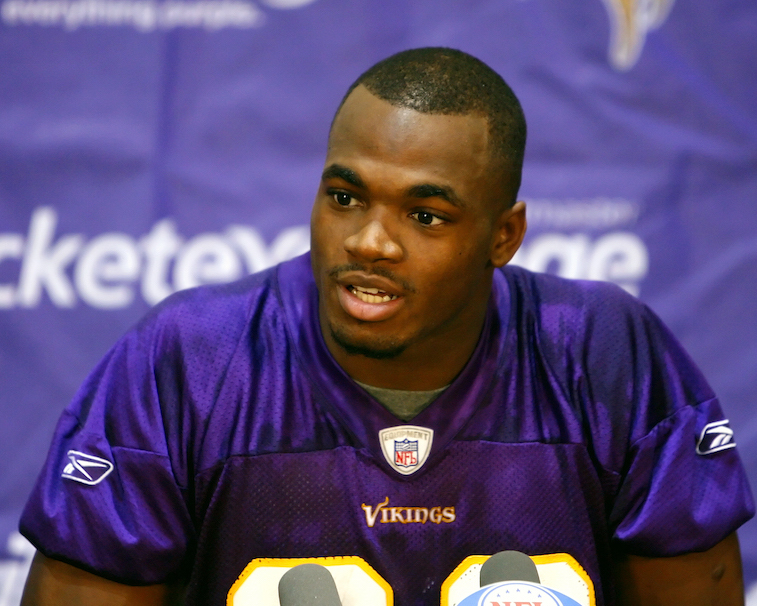 The price tag the Vikings have placed on Peterson is too high for a trade to happen. Earlier this offseason, it was reported that he Vikings had an asking price of at least one first round pick and a starting player in exchange for Peterson. Is there a team in the league willing to pay that price for a 30-year-old running back that has a huge salary cap number and also missed almost all of the 2014 season? Probably not. 4. 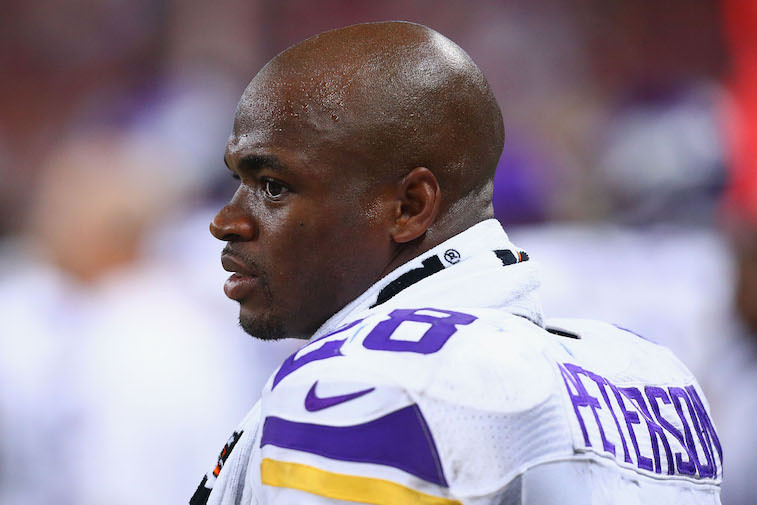 Peterson’s 2015 salary cap figure would be $12.75 million. That figure alone will scare away most NFL teams. 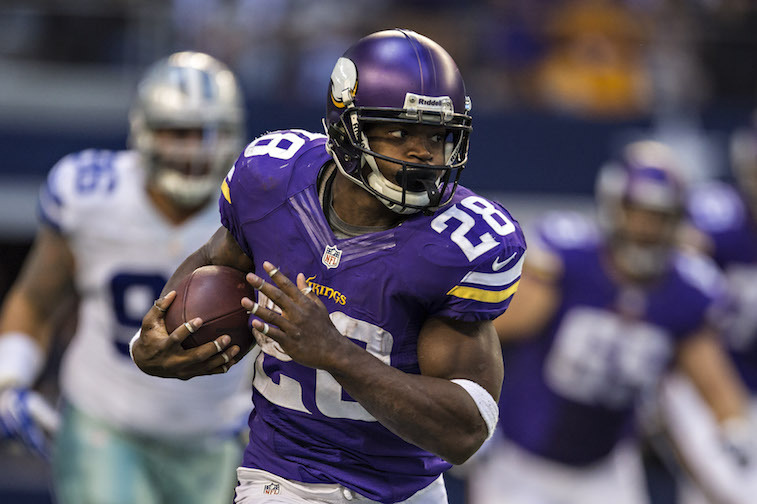 Peterson has been linked to the Dallas Cowboys since June of 2014, and from a football standpoint, Dallas makes a lot of sense as a trade destination for the 2012 NFL MVP. From a financial standpoint, the Cowboys wouldn’t be able to take on Peterson’s contract as it is currently structured, and it remains highly unlikely that the All-Pro back would be willing to take a paycut. 5. 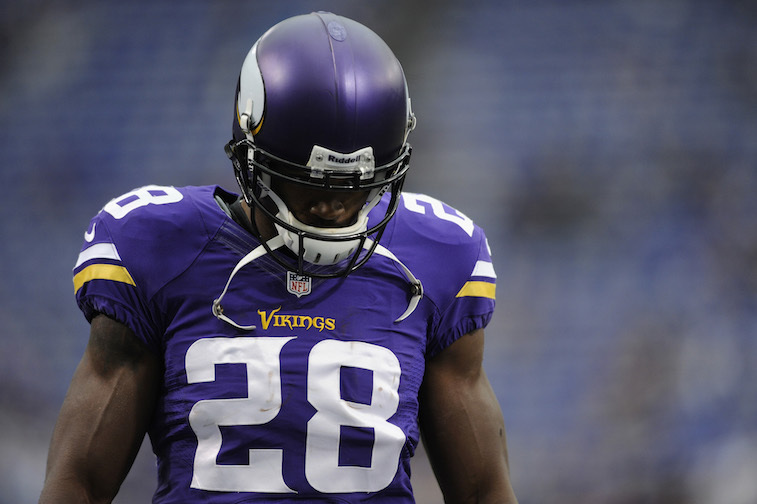 Nobody knows how Peterson will perform after sitting out all but one game in 2014. When Peterson is at his best, there isn’t a better running back in the NFL. The problem, however, is that nobody really knows how well the 30-year-old will bounce back from missing all but one game in 2014. He could revert right back to his All-Pro form, or he could finally start to show signs of age in 2015. Either way, the uncertainty surrounding his situation makes it highly unlikely that another team will be willing to meet the Vikings asking price.